Have you ever wondered about your purpose this lifetime and why you are really here? For many of us, our whole lives are spent trying to work this out. And day by day, we get closer and closer as we connect deeply with our inner wisdom and find our way forward on this spiritual journey. In this two-part podcast series, I want to help you on your journey by sharing with you a powerful, yet simple, resource to help you discover your life purpose using just your birth date and the Tarot cards. Now there’s lots of juicy information in this series, so I’ve put together a handy Mini Guide for you. Download your free guide to the Tarot Birth Cards, including a description of each combination and what it means for you. 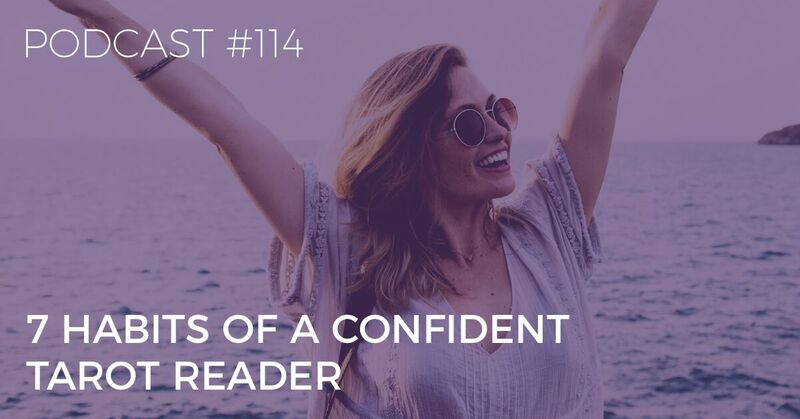 Click here to subscribe to the Biddy Tarot Podcast, so you’ll never miss an episode! 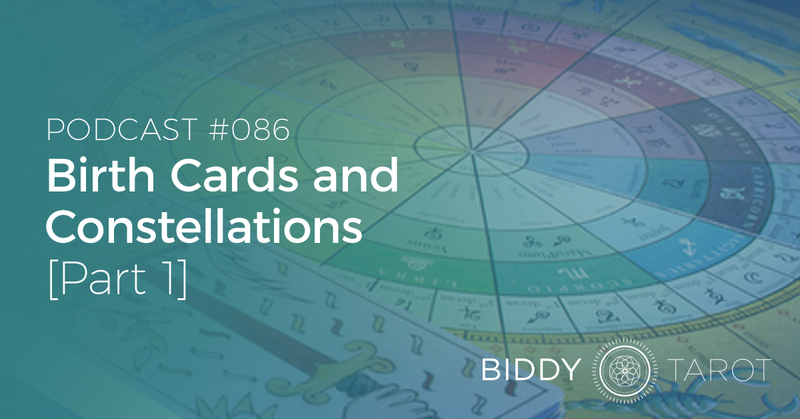 You’re listening to the Biddy Tarot Podcast, and this is Episode 86: Birth Cards and Tarot Constellations (Part 1). Hello, and welcome back to the Biddy Tarot Podcast. Have you ever wondered about your purpose this lifetime and why you’re really here? Well, for many of us, our whole lives are spent trying to work this very thing out. And day by day, we get closer and closer, as we connect deeply with our inner wisdom and find our way forward on this spiritual journey. So, in this two-part series, I want to help you on your journey by sharing with you a powerful yet simple resource to help you discover your life purpose, using just your birthdate and the Tarot cards. It’s all about Tarot birth cards and Tarot constellations. Now, there’s lots of juicy information in this two-part series, so I’ve created a very special mini guide for you. If you go over to BiddyTarot.com/86, you can download this free guide to the Tarot birth cards. This guide is going to include things like how to calculate your birth cards and what each of the different combinations mean for you. Of course, I’ll be covering all of this in our podcast episode as well, but I want to make sure that you have easy access to it. 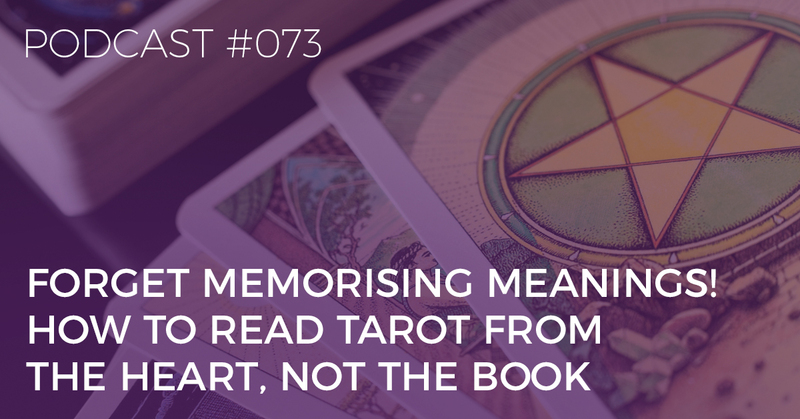 So, remember, you can pop on over to BiddyTarot.com/86, and you’ll also get not just the free guide for Tarot birth cards but also the transcript for this episode, plus the show notes, so make sure that you check it out. All right, so let’s get into it. Now, most of us know our astrological birth sign, but did you know that you also have a set of Tarot birth cards? These are created from the numbers in your birthdate, and they typically reveal innermost self and our personal identity that remains a constant element throughout this lifetime. Birth cards can also signify our potential in this lifetime and the qualities that we can draw upon in order to fulfil our spiritual mission. They show you the strengths, challenges, and key themes of an entire lifetime with really great accuracy and depth. Now, the Tarot birth cards are cards taken from the Major Arcana only. Therefore, they’re really tapping into those bigger spiritual life lessons that we know from the Major Arcana cards. It’s really powerful stuff when you dive into your own Tarot birth cards and what they mean for you. In this episode, I’m going to focus on how you can calculate your birth cards, and please, just stick with me. I know it’s a little bit dry. We’ll be talking numbers, but also remember that you can easily go and download the free mini-guide with all of these details in it as well, and that’s at BiddyTarot.com/86. There are actually 13 different combinations that anyone can have. 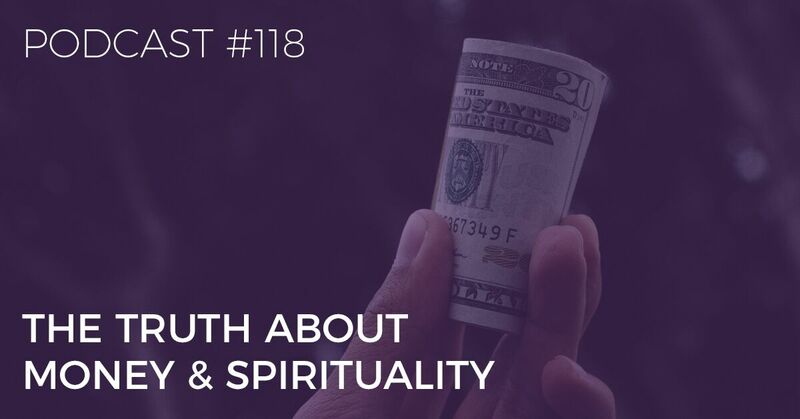 I’ll be going through 6 of those in today’s episode, and then in Episode 88, I will be going through the remaining 7, plus also talking about how you can start to integrate the birth cards into your life. So, it’s not just “Ah well, that’s interesting—carry on.” But how can you actually bring these birth cards into your life on a more regular basis? That will be over in Episode 88 when it’s released. Let’s get our thinking caps on and get into how to calculate your birth cards. Now, I will say first that there is an easy calculator. I wish it was on Biddy Tarot, but it’s not. We haven’t created it yet, but you can find one over at TarotSchool.com/calculator.html. Ruth Ann and Wald are lovely, but I don’t think they have updated their website for a little bit, but they do have this fabulous calculator that will help you calculate your birth cards quite easily—brilliant. But I’m going to actually explain it to you, so then at least you’ll have an understanding of how it works. I don’t know about you, but I love to know how something works. I don’t just like to use the calculator to tell me the answer. I want to find out how it all works. We each have two Tarot birth cards, and in some cases, we can have three. It’s all based on the date of our birth. In order for you to work out what your Tarot birth cards are, you need to add up the numbers in your birthdate. Now, I do need to caution you and say that there are different ways of doing this. I’m going to focus on just one way, which is the way that Ruth Ann and Wald Amberstone use as part of the Tarot School. I know that Mary Greer has a slightly different way of calculating the numbers, and I believe there may even be some other methods out there. So, to keep it simple, I’m just going to focus on one method. You’ve got the numbers of your birthdate. Now, let’s say your birthdate is April 7, 1969. April is the fourth month—that’s a 4. So, you’re taking 4 + 7 (because you’re born on April 7) = 11. Then you take 19 + 69. So, it would be 4 + 7 + 19 + 69 = 99. Maybe you can start thinking already about your birthdate, and take the month, add it to the day of your birth, and then with the year, take it as, say, 19 + whichever number it might be. Or maybe you’re super gorgeous and young, and maybe you’re doing 20 + 01 or 20 + 02 and so on. You end up with this number. It’s looking like a big number—that’s OK. In this example, we’ve got a 99. Now, what you want to do is add those two digits. In this case, 99 is 9 + 9, and that equals 18. Now, this number is now within our 22 Major Arcana cards, and it gives us the first birth card. Tarot card #18 is the Moon. Then what we want to do is take that 18, split it out again and go 1 + 8 = 9, and that’s the Hermit. So, let’s say if you ended up with 99, you would bring it down, and you would have your two birth cards: the Moon and the Hermit. Now, when I was doing this for my own birthdate, I noticed that it actually adds up to a three-digit number, so let’s talk about that. My birthday is April 27, 1979. So, I go 4 + 27 + 19 + 79 = 129. In this case, if you’ve got a number that’s 100 or more, what you need to do is take the first two digits in that big number… So, mine was 129, so I want to take 12 + 9. That brings me to 21. 12 + 9 = 21. So, the first birth card, in this case, is the World. Then the second birth card will be the Empress. Taking 21, 2 + 1 = 3, which is the Empress. I hope you’re sticking here with me! If you’re not, that’s cool—I totally get it. It’s easy to also just punch this into the calculator, and I’ll give you that link again very, very soon. We’ve covered if you have a two-digit number or if you have a three-digit number. Now, your birthday may all add up to a single digit. Let me explain. You might do your adding up all the numbers to get to 80. 8 + 0 = 8, so that is the Strength card. “But what’s the second card?”, you might be wondering because you can’t reduce 8 down to anything else. So, you are actually going up again. You think about 8. Well, 1 + 7 = 8, so you’re actually being brought back to card #17. In this case, always think about what’s the 1 + X that will equal the number. I hope you’re still sticking with me here! It’s a little bit tricky, isn’t it? If you had 60, and you got to 6 + 0 = 6. Well, what’s 1 + 5? You get card #15 and 6, so Lovers and the Devil card together. I hope that makes sense for you. Now, there is one exception to the rule, and this is where we can end up with three birth cards instead of two. If your birthdate sum equals 19, this is what will happen. The Sun is card #19. Then 1 + 9 = 10, which is the Wheel of Fortune, and then 1 + 0 is the Magician, #1. So, you have three cards instead of two. And one little thing that comes up is card #22. It doesn’t exist per se… We have the Fool, which is typically numbered 0, but because 0 won’t really come up in this instance, then we translate the Fool as 22 as well. The Fool is an interesting one because it’s at either the start of a journey or the end of a journey. I know we have the World, but then it kind of moves into the next phase, which is starting to move back into the conception phase of that cycle. So, I’m taking the advice of, again, Ruth Ann and Wald Amberstone at the Tarot School, who recommend using the Fool as card 22, and we’ll talk about how that sort of plays out once we get up to that part of the Tarot birth cards. Remember: You don’t have to do all of this hard work. There is a calculator available at TarotSchool.com/Calculator.html. Don’t forget that .html! I know we’re not very used to it anymore, but without it, it won’t work. You can punch in your birthdate, and it’s all ready for you to go. OK, so hopefully by now, you have your Tarot birth card. The other option is to download that mini guide that I’ve created for you, and just go through the instructions as well. Sometimes it’s a lot easier to do maths when it’s actually in front of you rather than listening to someone try to explain it to you. That’s another option at BiddyTarot.com/86. WHAT DO THE BIRTH CARDS MEAN? Let’s now dive into what your birth cards really mean. There are 13 combinations overall, and today, what I want to do is go through 6 of them, and then, in Episode 88, we’ll go through the final 7. Again, remember that inside that free mini guide, not only have I shown you how to calculate your cards, but I’ve also included what each of these cards combinations mean for you, particularly as birth cards. 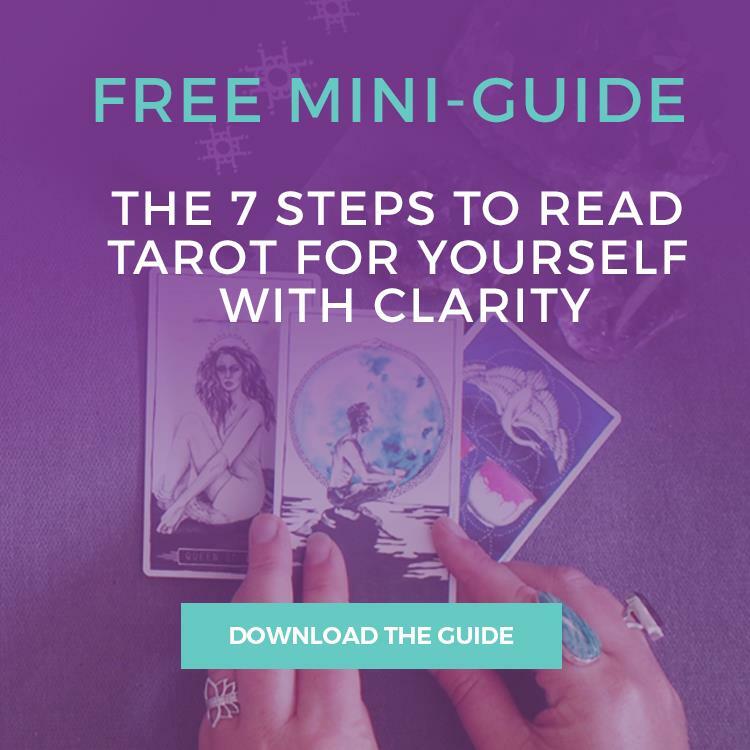 Hop on over to BiddyTarot.com/86 to get your free copy of that mini guide. Remember, this is for you, but you can also calculate it for your friends and your loved ones and discover a little bit more about them and their life purpose as well, and maybe that’s something that you want to share with them, too. Whilst you’re probably listening out for what your set of cards are, keep in mind that it’s good to know what all of them are so that you can then use that information and share it wisely. Let’s start with this one. We’ve got the Wheel of Fortune and the Magician, so if this is your birth card combination, listen up! This is your mantra with this Tarot birth card combination. You can take any situation that life throws at you and turn it into something that benefits you and others. You really connect in with that Wheel of Fortune, where life is just up and down, up and down, and we have this choice. We have a choice about whether we can just be at the mercy of what life is giving to us or be at the control of what life is giving to us. I love the balance between the Wheel of Fortune, which is kind of “I’ll just take whatever comes” to the Magician, who is like “OK, and I’m going to create what I want.” The Magician is your master manifestor. The Wheel is kind of fate and destiny. So, we’re bringing together these two elements to really become the creators of our own destiny. With this birth card combination, you see yourself as the creator of your destiny rather than being at the mercy of your fate. And with this kind of mindset, you can achieve your greatest dreams and desires. So, your gift here in this lifetime is your ability to manifest and attract good fortune—really, really neat. Again, if this is your birth card combination really reflect on “How do you take what life throws at you and turn it into something that works for you?” How does this play out in your life? Have you seen it happening in your life already, or are you experiencing it right now? Make it real. Make it valid for yourself. Let’s step into the second birth card combination. Look, I know in some decks, Strength and Justice to change around, but if we’re working with the Rider-Waite, we’re calling card 11 Justice. 11 comes down to 2, which is the High Priestess. With the Justice card and the High Priestess, even if you’re just looking at this visually, what’s really interesting is the connection between these two cards, just the visual element. In both cards, there’s someone sitting in a throne, surrounded by two pillars, and behind, there is a veil. To me, this really represents the pillars of truth and knowledge and sitting there between the veil of either the conscious and the subconscious or the veil of the right and the wrong. There’s this balance that happens with Justice and the High Priestess, where Justice is more of that black-and-white, you’re either right or you’re wrong, whereas the High Priestess is saying, “OK, take that and then use your intuition and your inner knowing and your understanding of both worlds to then create some fluidity and flexibility around that. With this combination, you are a seeker of truth. You’re talented at weighing up a situation and seeing it for what it truly is, and you’re not bound by the rules 100% of the time. Instead, you’ve got this innate ability to see through the veil and determine what’s really going on. You’re an intuitive decision maker, guided by your gut feeling when dealing with challenging situations, and you can easily read a situation without having all of the information at hand—really, really neat combination. Again, I think, given this visual connection between these cards, if this is your card combination, really sit with these two cards side by side, and dive deep into what they might mean for you. Let’s move into the Hanged Man, which is card 12 and the Empress, card 3. Now, with these two cards, you are a soulful creative with this combination. You have the gift of creative expression, and you do so by taking a step back and seeing the world from a different angle. We’ve got that juiciness of the Empress and all of her energy around creating and putting beautiful things into the world, and then we have the essence of the Hanged Man, which is looking at things from a very different angle, from a different perspective. The man is hanging upside down, and I don’t know about you, but when I hang upside down, everything looks very different! This can be someone who looks at the world from a whole different perspective to the way that most people might see things and is then able to take that and deliver it in a really creative way. You may be more passive and contemplative by nature, but it allows you to open up to new experiences and new perspectives that others do not see. This allows your creativity to blossom and come forth in new and exciting ways. As an artist, your art is coming from a soulful, spiritual place. It wouldn’t be surprising if you found ways in your life to express your spirituality through art and creative endeavours. Beautiful. Let’s now move into Death, which is card 13, and the Emperor, which is card 4. Now, visually, there’s not a lot of alignment here, although the energy that I get when I just look at these two cards right now is pretty strong energy—very masculine certainly with the Emperor. And even with Death, the angel of death, I suppose, is wearing his armour that’s very hard. We know that Death is about change and transformation, and we know that the Emperor is about structure and putting in place foundations for things to grow and build and create and so on. Not so much the same creation that we see with the Empress but more from the “build” perspective. With this combination, you’re a change agent. You’re here to restructure the world around you. You have clear insight into when a situation or a way of operating no longer serves you or the greater society, and you’re not afraid to implement sweeping changes in order to set a new path. You are here to rebuild and lay down the foundation for something new to emerge, and you step into a position of leadership when it’s needed so as to advocate the change that is in place. It’s very, very powerful. Look, I’m going to say that about all of these card combinations because they are very, very powerful. There’s something with that masculine power that comes through in this card combination as well. Let’s now move on to Temperance and the Hierophant. Temperance is card 14, and the Hierophant is card 5. Now, with this card combination, you are here to bring about balance—balance between freedom, which we see in the Temperance card, and balance between structure, tradition and the status quo, which we see in the Hierophant. Now, we take that energy, and we take the Temperance card and the energy in the Temperance card. Now, Temperance is very much about that balance and fluidity. How do take your guiding principles and turn them into just that? How do you move away from just rules or following blindly to then being able to balance it out with what you’re experiencing in your life? So, it’s not just taking your teacher’s words at face value but then integrating it into your own being and finding where it is in flow for you, and that is essentially the Temperance card. I can’t help but be drawn to that glowing crown in the background, which says that this is the path to your enlightenment in this lifetime. You acknowledge the importance of setting a framework to guide your thinking and your actions, but you also have a talent for flowing in and out of that framework, depending on the situation. You’re flexible and adaptable but also respectful of tradition and convention. So, it’s a very interesting place to be, where you’re allowing this flow to happen. Your gift is to be able to share this balance with those around you by taking conventional wisdom and showing others how to integrate it into their lives. You may be a teacher, a spiritual guide, a life coach, or even a mentor in this lifetime. All right, we have our final combination for this episode, and (I’ll keep saying it) this is a very powerful combination, and this is a fascinating one to see together. It is the Devil, card 15, and the Lovers card, card 6. Now, if you have ever put these two cards side by side, you will see some very strong connecting visual cues. In both cases, we have a naked man and woman, and in both cases, we have a large figure sitting between both the man and the woman. Now, the Devil is indeed the Devil, and he has the man and the woman chained by the neck. This sense within this card is almost being chained to something, being obligated, feeling that you can’t escape something, that you must do it in a certain way. And yet, the folks who are in this card, they don’t realise that those chains are very loose around their necks, and they’re actually able to make choices in their lives. With these two cards as your Tarot birth cards, you are here to love, to give love, to receive love, to make love. You’re guided by a deep love for the universe, but you also need to be careful that this love does not turn into desire or lust. You’re deeply passionate, and you can direct that passion for the greater good of society when you apply your highest morals and values to your decision making. You dance this fine line between freedom and boundaries, and you make the best decisions when you’re acting from a place of inner truth and universal love. Look, certainly, with the appearance of the Devil card here, you may have what you feel is an addictive personality, but balance that out with the Lovers card, which says that even if that is the case, you have conscious choice here. You can choose which path you take. Do you want to be drawn into that immediate satisfaction or gratification even if it’s compromising your values? Or can you make some more conscious choices throughout your life? I think that’s a really important piece of this combination. OK, my friends, we’ve come to the end of this part of Tarot birth cards and constellations. Now, in Episode 88, I’m going to be continuing our journey through the birth cards, and I’ll also talk about how you can start to integrate these birth cards into your life. And remember, if you go to BiddyTarot.com/86, you can download the free mini-guide which has how to calculate these birth cards and what each of the card combinations mean for you. Thank you so much. I’ve really enjoyed today, and I can’t wait to continue this journey with you very, very soon.